Android Fanboys rejoice! Android FINALLY released an official podcast app. I'm still not sure why it took until 2018 to officially support a medium that's over a decade old, but here we are. First things first, Can someone tell me why they decided to make the icon look almost identical to the Fitbit icon? It's so blatant that it's almost offensive. Not to mention annoying when I can't tell the two apart in my status bar. Now, let's talk about the app itself. Historically I have used Podcast Addict. I have the paid version of the app, and it is robust. Auto downloads, offline play, sorting, you name it. However, Google podcast does NONE of that. If you want to binge on your favorite podcasts, you'll be streaming it, and you'll be thrown back to the 90's while watching the app "buffer". The GUI is clean like we've come to expect from Google. The search function seems to be robust. I had no issues quickly finding my favorite podcasts (Shoutout to SYSK). However, I feel like I should have the option to download podcasts for offline playback. Sometimes I travel, and I shouldn't have to worry about my signal when I'm driving through the mountains. I also have my favorite episodes that I listen to more than once. I have around 20 SYSK episodes that I enjoy going back to. Podcast addict allows me to quickly search the vast library and pick the episode I want to listen to. I am very happy that Google decided to release this app, but it feels totally half baked at this point. Maybe I'm just spoiled, but I like to have control over my data and media. Even Spotify lets me do offline playback. Maybe in another 10 years Google will catch up to my favorite podcast app. Many of you who don't have Sprint may not know what the Essential Phone is. Let me catch you up real quick. Essential is an Android Smartphone designed by Android Co-founder Andy Rubin. As the name would suggest, this phone is very minimalist. There is absolutely no branding on the phone, and yes, this includes carrier branding. The construction of the device screams quality with a ceramic back, Titanium frame, and the screen is Gorilla Glass 5. It features USB C, and has 2 magnetic pin holes on the back of the phone for (currently non-existent) modular accessories. Currently the only modular accessory is the 360 degree camera. They have a charging base coming out in the near future as well, but details are still not released. As most other current generation phones, they chose to Eighty-Six the headphone jack, so I would recommend a nice set of Bluetooth Headphones. I got my Essential PH-1 (get it? PH-ONE) very shortly after launch. My initial impressions were less than favorable. This is a new phone from a new company, so shortfalls and setbacks are to be expected. The phone definitely had issues. First and Foremost, the camera was terrible. I hoped and prayed that the issue was software and not hardware. Essential was very timely with software updates, and after a rocky couple of months, they slowly fixed most of the issues. I also had a nagging problem with frequent freezes, and very odd behaviors. Some resulted in random reboots, and others ended with me having to force reboot the device. I was very close to selling the device around month 4. I took to Reddit to complain about the issues with the device, but I was met by fanboy mods. Ill speak of the device found my Reddit account banned for 2 weeks from the Essential subreddit, but that is a story for another time. Not too long after that, I decided to take the plunge and flash the Oreo Beta build on my device. I had decided that if the Oreo update didn't fix the issues, then I would sell it and move over to the overpriced Pixel 2. Much to my delight, Oreo fixed ALL of my issues. The device has very excellent battery life, typically getting 12-14 hours per charge. Thanks to the fast charging, it typically fully charges in about 45 minutes. It's not all rainbows and butterflies though. Unfortunately, the device had very weak early sales. I think this is mainly because Sprint had exclusivity to the Essential Phone. With a starting retail price of $599 for the unlocked variety, people avoided it. Mainly because they were asking people to invest in a device from a company that was unknown. This resulted in a lackluster line up of accessories for the device. You are looking at only a handful of cases. Namely, Tudia and Incipio. I have had each, and I must say that Incipio is the better product. Most cases do not allow access to the modular ports on the back of the phone. In fact, if you are looking for a case that allows access, you will need to give up protection and go with a thin cover instead of a protective case. I am also disappointed in Essential for dragging their feet on new modular accessories. Modular phones had the potential to be the future of mobile devices. The issue is that no company has released an impressive line up of modular accessories to date. Now it has become more of a gimmick than an exciting way to customize your device to your needs. This isn't Essential's fault necessarily, but they had the chance to shake up the modular technology, and I'm afraid they missed the bus on this one. There has been talk about a new device from Essential, but with their last device being a loss on their ledger, their lack of accessories, and sales being lost to the marketing of Moto and One Plus, I wouldn't expect much from the new device. Here's to hoping that they get their marketing and development team on the same page, and do something to shake the market up a bit. While I don't have high hopes for the future of the company, the device itself (when running Oreo) is one of the nicest devices that I have had the pleasure of owning. All things considered, I would have to recommend that you buy the Essential PH-1. The price point has come down, and I would expect the price to drop again as essential gets ready to release a new device. 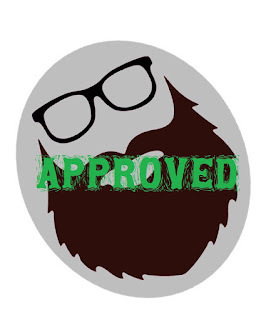 This probably won't come as a surprise to my readers, but Essential Phone get a Beard of Approval. So recently, as most of my readers know, I switched from my Nexus 6P to an iPhone 6s Plus for about 6 months. After my iPhone experience, I decided, with some reservation, to switch back to the Nexus. Not because I don't like Apple (quite the opposite actually), but because the iPhone was just such a pleasant handset. I sold my iPhone and purchased a Gold 64 GB Hauwei Nexus 6P from Swappa, and after 2 weeks, I suddenly fell victim to the bootloop issue that seems to be plaguing Nexus users. I reached out to Google and asked for a replacement, and since I purchased it from swappa, they wouldn't help me. I found out from the seller that the phone was originally bought from amazon, so therefore, Google would not help me. They instead sent me to Huawei. I was immediately pissed, because I HATE dealing with manufacturers. I begrudgingly went to Huawei's nifty warranty checkup website, and found out I had literally 1 week left on the warranty. I explained to them what my situation was, and they sent me a UPS overnight label to ship the device to Fort Worth, TX. I immediately took to Reddit, and read up on previous experiences with Hauwei. People were reporting being without their devices for upwards of a month. I was physically ill. I dug in and decided to do what I needed to do. My phone shipped out on Monday, July 17, 2017. Thursday, the 20th, I received an email saying that a return label had been generated for me. I was immediately livid and assumed the worst. Since my phone had been previously rooted, I assumed that they were sending it back with a voided warranty. I called Huawei, and they said they had no info from the repair center yet. All I could do was wait until Fri. Friday came around, and I received my device, and it worked! I was over the moon. Furthermore, the lower rear back panel has a small plastic door on it that was coming loose. The repair center fixed that as well even though it was NOT covered under warranty. I called Huawei to find out what was wrong with my device, and they had no details, but they did tell me that they also extended my warranty for another 90 days in case the repair didn't stick. That means, that I received my same device back, repaired, and cosmetically better than it was when I sent it out. And it was all done over the course of 4 days! Color me impressed. iPhone VS. Android : A Google Fanboys Unbiased Opinion. I have been an undying Android fanboy since I first laid my hands on the ADP1 (AKA HTC Dream). I loved being able to root and modify my device. I could personalize it to my liking. I never had any desire to move to the iPhone because I wasn't going to give up my physical keyboard. Not to mention, the iPhone was notoriously expensive. Since then I have had countless Android devices. I would estimate that I have had about 25 different Android devices, and I have had 2 Apple devices. I had the iPhone 4, and the iPhone 6S Plus (most recently). My experience with the 4 was not a pleasant one. The phone was much smaller than the Android counterparts, and lacked many of the features that I was accustomed to on my Android. I'm going to glaze over my iPhone 4 experience, and jump to the more relevant (at least today) iOS 10 experience. So lets get our hands dirty and discuss differences. Build - There is no denying that the iPhone is probably one of the sexiest handsets available. Especially when we are talking about the earlier builds of Android devices. It wasn't until recently that Android manufacturers got the hint and moved away from plastic bodies and into the realm of aluminum and gorilla glass. Going to more glass, obviously means you are more likely to damage your phone. The older iPhones were notorious for shattering when dropped. The older ones were encased in glass. Carrying your phone naked was a great gamble. Now it is more of a toss up. While the iPhone is still arguably more aesthetically pleasing, Android's build quality and looks are getting better with time. The Nexus 6P and Pixel devices are very nice. Price - Again, up until only recently, iPhones were notoriously expensive. With the release of Edge display technology and aluminum unibodies, the Android devices are now just as expensive as the iPhones. I mean, you had better be ready to drop close to $1000 for the new Pixel XL. Even I had to roll my eyes at that one, and I have no plans to pick up a Pixel any time soon. Support and Updates - OK. Again, this category goes to Apple without hesitation. Androids have a terrible reputation of not only releasing OS builds in a timely manner, but we are at the mercy of individual carriers in order to get our new OS unless we bit the bullet and rooted our android devices. Even then, we are at the mercy of developers to port it over to our device. I had the Kyocera Echo when it came out, and I loved this phone. However, there were no plans to update it to the latest OS (even though it was more than capable) and since the phone never picked up any speed, there was no dev community behind it. Suffice it to say, I didn't have this handset for long at all. iPhones take the cake here, because you know not only when it will be released, but exactly what handsets will receive the update. Furthermore, we don't have to depend on our carriers. Apple releases the updates themselves. Not to mention, if you have a problem with your device, you can call Apple. With Android phones it's a crap shoot. Even if you have a Google Brand device, reaching google for hardware support without a nexus care plan is infuriating to put it mildly. Software/UI - OK, this is where the waters get muddy. There is something to be said about the out of box user experience with Apple devices. The phones are so easy to use and understand (even though 3D touch took some adjustment). I can back up and restore with great ease, thanks to iTunes. However, if you are like me, you want to personalize your phone. If you don't care to do that, you can skip the rest of this section. If you want to jailbreak your iPhone, Apple will do everything but disown you. They claim that it voids your warranty, and lord forbid you need any support while jailbroken. It wont happen. Not to mention they actively try to thwart Jailbreaking with every new OS released. Not Cool Apple. Especially given the money we spent on the iPhone. Google, however, is another story. When you root your device, you open up a new world of possibilities. You can theme, run modded OSes, tweaked apps, and have full control over power settings and multiple other UI tweaks. In addition to that, you can even download custom kernals to dictate how your phone processes and even utilizes the battery. 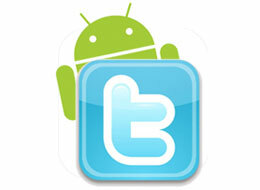 There is a wealth of knowledge and support for these ROMS on the Android platform. 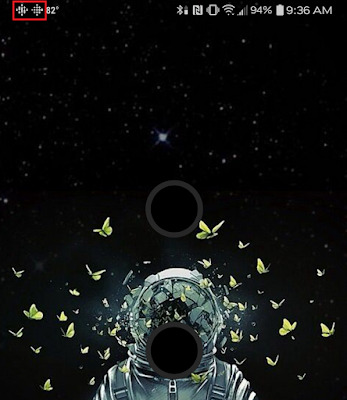 XDA-Developers is my one stop shop for modifying my phones. Apps - OK, I know what you're thinking. I'll go ahead and say it. While Androids Play Store boasts a higher number of apps, their community standards are piss poor. There are so many apps that have NO PLACE in the play store that it can make you sick. If you are downloading from iTunes, you are much more likely to get a useful app, instead of a piece of trash. However, the play store has a more robust review system. Where Google shines is the availability of 3rd party apps. Now, with that being said, you shouldn't go download third party apps all willy nilly, because that's a good way to break your phone. 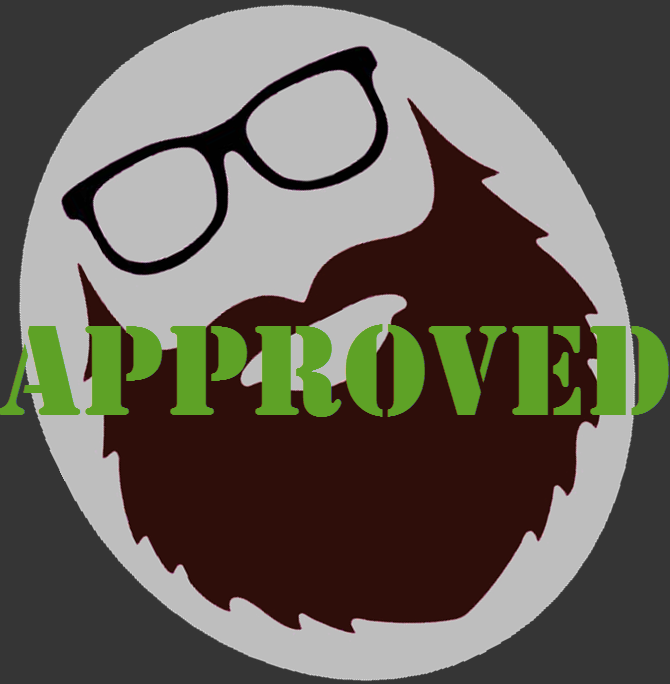 As a general rule, I only download apps that have been approved by XDA. All the apps aren't a completely new build. Some 3rd party apps take a google app and strip it down or tweak it for performance purposes. The best example of this type of app is music and audio tweaking apps. They can really change your experience. So, whats the verdict then? Well, it's not that easy. Most biased reviewers will tell you why one is better than the other. However, having had the iPhone 6S Plus now for about 6 months, I can honestly say that they really are both great devices in their own way. The fact that they are both smart phones is really where the similarities stop. If you like stability, and you are a set it and forget it type of person. You want to make sure you always have the latest builds, and want to put out little to no effort to get it. If you want to get high quality apps that you can trust without having to research, and if you want to have a device that most of your friends have, then an iPhone is your best bet. One thing I didn't mention was Apple's ability to marry your iOS devices together. If you have a Mac, Apple TV, iPad, etc, it's a no brainer. Get an iPhone. Now if you are like me, you will want an Android. If you want to make the device your own, like to tinker a lot, and enjoy researching, and tweaking, then Android is your device. I am never content with my device. I am always looking for the next best ROM, or trying to tweak my phone for performance or battery life. 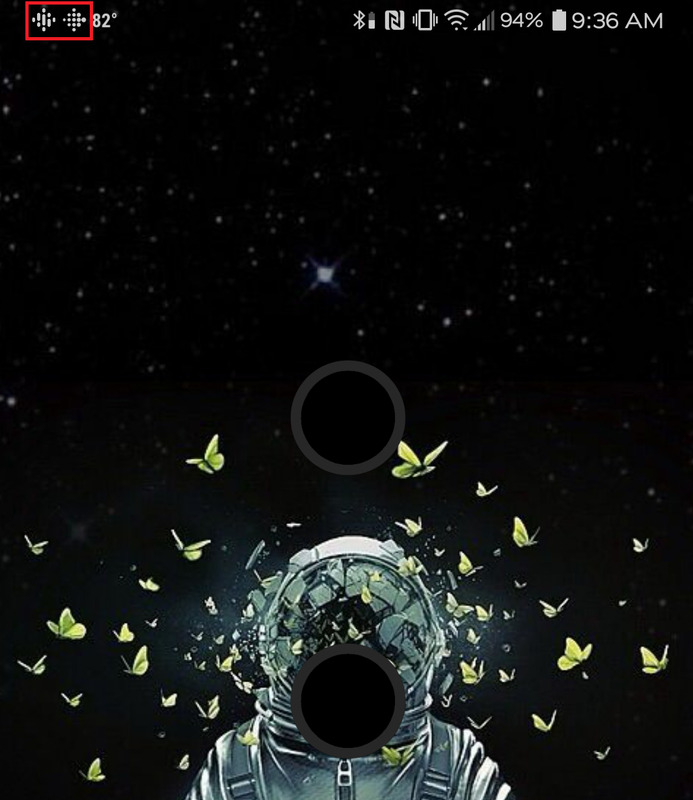 I enjoy themes and third party apps. If you look at my Android device at any given time, you will be hard pressed to figure out which OS I'm running, or even what apps I am using because they are so heavily themed and modified. With that being said, it' a trade off. I have to manually backup, update, restore, and manage my device. It's something I enjoy doing. I would be lying if I said I wasn't going to miss my iPhone. It is a great device, and the wealth of accessories like cases, etc are nearly unending. Not to mention, I never had to worry about messing my phone up. I could just let iTunes back up and restore. I have had more than my fair share of scares on Android. There were many late nights spent trying to restore my phone from a "Soft Brick". My advice is to stop slinging mud across the aisle. Don't try to convert users from one device to the next. 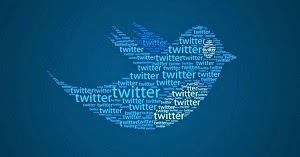 Do share the experience, and if you keep an open mind, and try the other device, you might be surprised. They are both excellent devices. With that being said, I have sold my iPhone and purchased a Nexus 6P. I look forward to rooting and theming my android. So, It's no secret that I am in love with my Charge HR. Sadly he died last night, probably because I never took him off, except to charge him, WHICH YOU SHOULD NEVER DO according to fitbit. So, I prepared for the inevitability that I was about to have to buy a new one. I had no proof of purchase, and after all, I showered in it WHICH YOU SHOULD NEVER DO. The water isn't really the issue, it's more about allowing your skin to breathe. In a last ditch effort, I decided to do a live chat with warranty support for fitbit. This is what happened. Ariel (9/14/2016, 10:01:46 PM): Hi Ronnie, my name is Ariel. How can I help you? Me (9/14/2016, 10:02:14 PM): Hello! 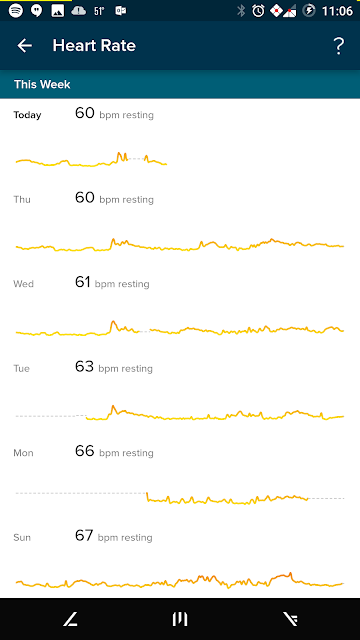 I am having a problem with my fitbit unfortunately. Ariel (9/14/2016, 10:02:54 PM): I'm sorry to hear you're having issue with your Charge HR. Ariel (9/14/2016, 10:03:01 PM): I'll be happy to help you Ronnie. Ariel (9/14/2016, 10:03:21 PM): Can you please provide me with with as many details of the issue you are experiencing as possible? Me (9/14/2016, 10:04:03 PM): Firstly I noticed the rubber band separating from the watch face....that happened about 2 weeks ago. Ariel (9/14/2016, 10:05:37 PM): Don't worry Ronnie, I'll do my best to help you. Ariel (9/14/2016, 10:05:59 PM): To see what option I can give to you, can you please provide the email address associated with your Fitbit account? Ariel (9/14/2016, 10:06:40 PM): Thanks. Ariel (9/14/2016, 10:06:58 PM): I'll just need to take a quick look at your account to see what I can find. Please allow me a moment. Ariel (9/14/2016, 10:09:18 PM): Thank you for waiting Ronnie. Ariel (9/14/2016, 10:09:40 PM): May I just know your country of residence? Ariel (9/14/2016, 10:10:43 PM): Since I have confirmed that your tracker is still in warranty, I'll be happy to get you back on track and provide you with a complimentary replacement. Ariel (9/14/2016, 10:11:16 PM): I've checked your account and your tracker was paired February 27, 2016. Ariel (9/14/2016, 10:11:20 PM): Yes Ronnie. Ariel (9/14/2016, 10:11:32 PM): To start, please provide your full name, shipping address and phone number. Ariel (9/14/2016, 10:11:39 PM): Lastly your tracker's color and size. Ariel (9/14/2016, 10:13:27 PM): Sure! Ariel (9/14/2016, 10:13:35 PM): Let me just check if it's in stock. Ariel (9/14/2016, 10:15:05 PM): Please give me a moment to process your replacement. Ariel (9/14/2016, 10:19:34 PM): I'm almost done. Ariel (9/14/2016, 10:21:25 PM): Thank you for patiently waiting. Ariel (9/14/2016, 10:21:48 PM): I'm happy to tell you that your Charge HR (Blue) - Large replacement is now being processed and your confirmation number is (redacted). Me (9/14/2016, 10:21:59 PM): Awesome! Ariel (9/14/2016, 10:22:03 PM): You’ll receive an email from Fitbit.com with a link to your order status. Your order should arrive within 5 to 7 business days from the date of shipment and please take note that business days excludes weekends. Ariel (9/14/2016, 10:22:10 PM): When your replacement arrives, visit http://fitbit.link/1HTrH4i for instructions on replacing your defective tracker on your Fitbit account. Ariel (9/14/2016, 10:22:18 PM): In the meantime, hang on to the charging cable and any other accessories that came with your original tracker, since replacement packages usually include the tracker only. Ariel (9/14/2016, 10:22:26 PM): We suggest to recycle your defective unit through a local electronics recycling program after your replacement arrives. Ariel (9/14/2016, 10:24:17 PM): Is there anything else that I can help you with? Ariel (9/14/2016, 10:24:38 PM): You're welcome and if you need help, please don't hesitate to get back to us. Ariel (9/14/2016, 10:24:44 PM): Have a great night Ronnie! Ariel (9/14/2016, 10:24:46 PM): Take care. Me (9/14/2016, 10:24:54 PM): You too, Ariel. Good Night! Ariel (9/14/2016, 10:24:55 PM): To end this chat please go ahead and click "end chat". I mean...Wow, not only did they fedex it, but they let me choose a new color! That is customer service, and they have earned a repeat customer. Way to go! Special Thanks to Ariel. 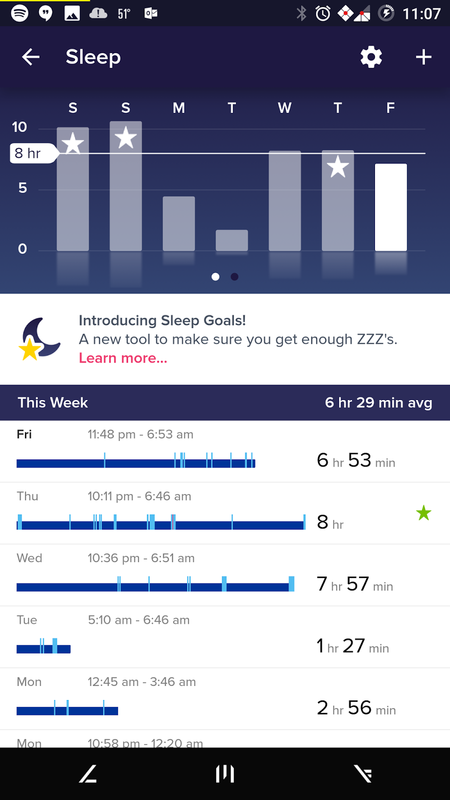 FitBit Charge HR Review: The friend that reminds you how lazy you are. So I recently sold my moto 360 2nd gen in lieu of a Fitbit Charge HR after putting on about 20 lbs, and getting tired of the ATROCIOUS battery life on my Moto. I wasn't too anxious to jump on the fitness tracker bandwagon to begin with, but I have to admit, Lesle and a couple of my friends have one, and have mentioned how cool they are, so I figured I'd give it a shot. They look nice enough, and the tout "up to 5 days of battery life" (more on that later). I wanted to see just how healthy (or unhealthy) I was living. Turns out...not so well. The cool thing about the FitBit Charge HR (well more the fitbit interface) is that it will connect and sync with your MyFitnessPal app/account. So anything you log on either app or website will sync over to the other. I have found that the syncing is impressively accurate. Sometimes I log my water intake into FitBit, and sometimes I will put it in MFP, either way the other app syncs up and I can rest assured that the data will be accurate. The widget is super nice and minimalistic too. 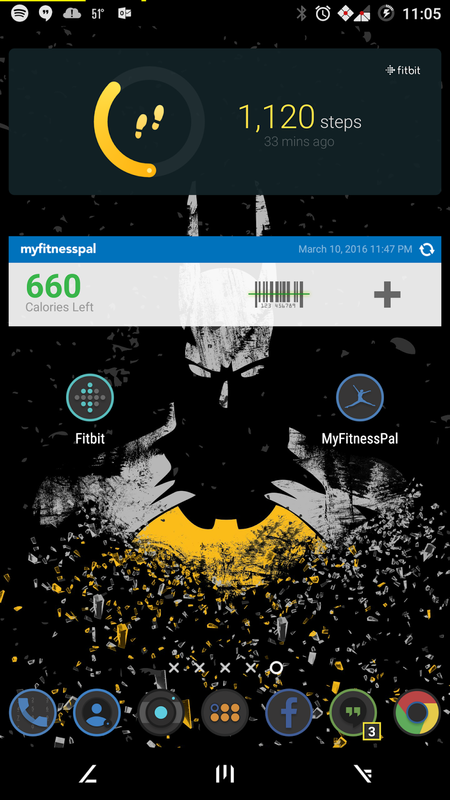 Using My Fitness Pal has made it easier than ever to log your food. They added a barcode scanner, so It takes moments to log my breakfast, especially when I have just a kickstart and a power bar (my typical breakfast). I love the heart rate monitor as well. 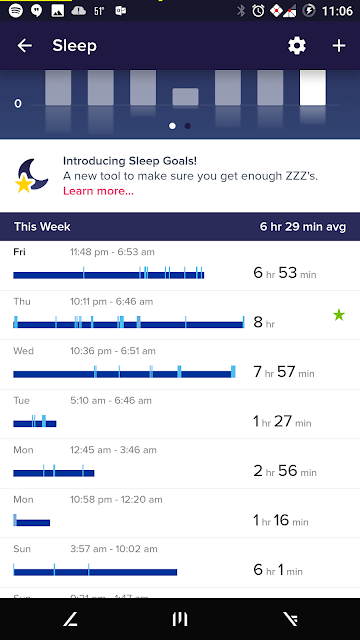 It seems to be pretty accurate when measured against other HR Trackers. They say that the Charge is splash proof, but I have read online that a lot of people take showers, and a couple even swim with it. I would not recommend that. As much as I would like to be able to swim or shower with it, I just don't have the balls to do it. With that being said, the other morning, I accidentally forgot to take it off during a shower. It seemed to fair well, but it's not something I would ever intentionally do. There is a really great new feature of fit bit where if you long press the button, it will start a stopwatch. It's not just a stopwatch though. It logs it as "exercise" and pumps a little extra juice to the HR monitor to make it more accurate. If you have the app open during an exercise session, it will show you a real time HR along with calories burned, and steps along with bevy of other metrics about your workout. Quite possibly my favorite feature is the sleep tracker. I never realized how crappy my sleep was until I got this thing. 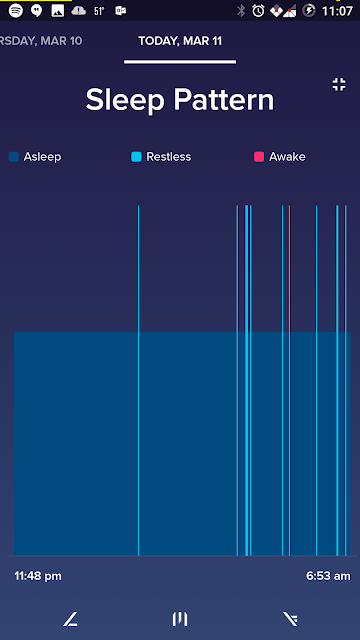 It shows me my total time slept, number of times I was restless/awake, total time of restlessness, and total time slept. It uses some time of weird voodoo to know when I'm asleep. I mean, I assume it's to do with movement, but I feel like when I'm watching a movie, I'm still, but IT KNOWS. Its kinda creepy in a good way. Here are some of my terrible stats. Now, About the battery life. 5 days is stretching it. If you turn off all day sync, and turn off notifications, I could see you maybe getting 5 days. However, who wants to get a real time fitness tracker and manually have to sync it. Realistically, plan on getting about 3 days of battery life. I have had the battery die on me in the middle of the night a couple of times and it's frustrating because it doesn't track my sleep when it's dead (obviously). You can see that it happened on the chart above on Monday and Tuesday. This is because I didn't charge it fully, and it died on me two nights in a row. 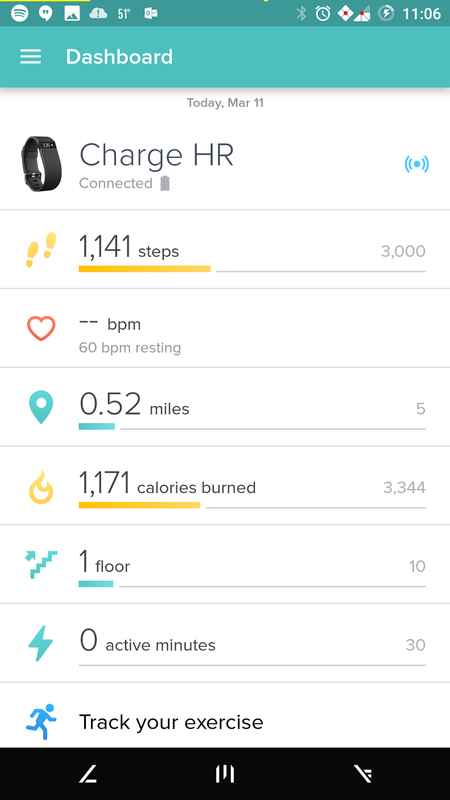 My biggest gripe about the fitbit is the bluetooth capabilities. While you don't HAVE to pair it with bluetooth for syncing (it can actually use data) It's going to be better to get it paired with your phone. That's very simple to do when you first get the device. However, if you do a factory reset on your phone, you can't repair the fitbit until you reboot the fitbit. This doesn't sound like a big deal, until you realize you need the proprietary charger to be plugged into the device before you can reboot it. You have to plug it up and hold the button for 10-12 seconds until it essentially "factory resets" and allows you to repair with your phone. They need to (at the very least) have a pin hole reset button on the device. It's ludicrous to expect to have a charger with you wherever you go just in case you need to reboot . Some users have complained that the band causes a rash, but I haven't experienced any issues at all with that. I would assume as long as you use common sense and keep it clean and dry when possible, the chance of irritation will diminish substantially. There are lots of options when it comes to fitness trackers, and I am in no place to recommend any one tracker over another, but I did do my research, and this is the one I landed on. If it were water proof, I feel like this tracker would be the full package. It is doing what it's suppose to. It's holding me accountable for my daily activities, and I have managed to drop 5 lbs in about 2 weeks, so I would say it's a good investment.